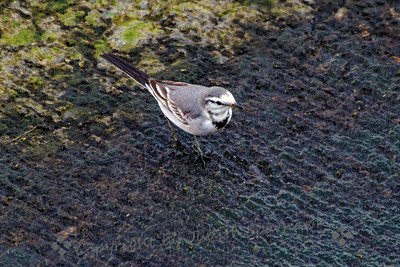 Birds that swim, fly, wade and hang out near water. 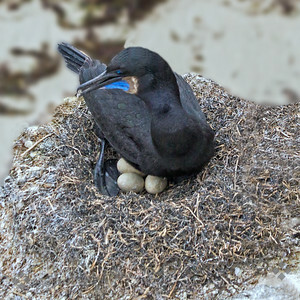 This Brandt's Cormorant is sitting on eggs at her nest on the cliffs of La Jolla Cove in the San Diego area. In June it is late in the season for eggs, and may be a second clutch of eggs for this pair of cormorants. 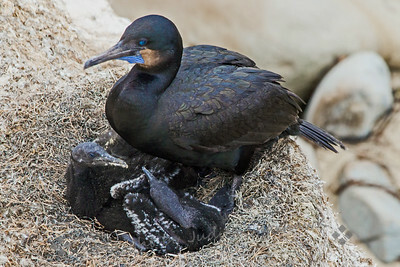 This Brandt's Cormorant was tending her two young chicks at the nest on the cliffs at La Jolla Cove, San Diego, CA. I spent some time this morning at La Jolla Cove, in the San Diego area. 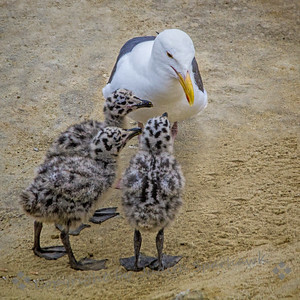 I found this Western Gull with three young chicks. They were very cute and kept begging for food. 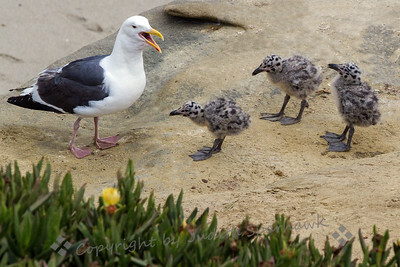 This Western Gull had just returned from feeding out at sea at La Jolla Cove, and the chicks hurried over to him, begging hopefully for food he may have brought back. This is one of the Western Gulls overlooking the rocky beach at La Jolla Cove. 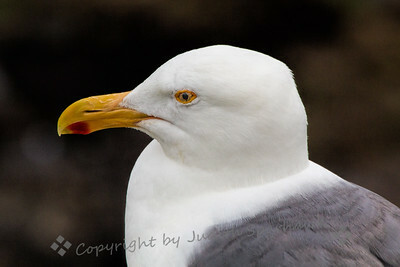 This Western Gull was photographed at La Jolla Cove in the San Diego area. I liked the way she seemed to be saying, "Now kids, you have to learn how to behave!" 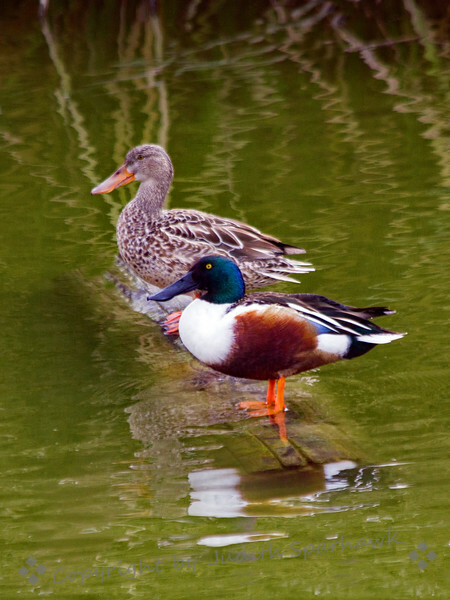 This handsome pair of ducks are Northern Shovelers. The name shoveler comes from the shape of their bills. They eat by dipping their heads under water and using the bill to shovel through the mud, weeds, etc for food. 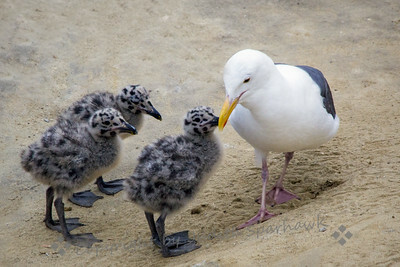 They were photographed at Oso Flaco Lake near Santa Maria, CA. 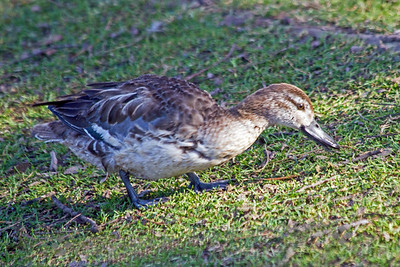 This little duck is a Garganey, an old world duck that is very unusual to find on the west coast. It is believed that it is a male in summer plumage, which will be changing soon. He will have a white crescent on his face, and gray plumage on his sides. 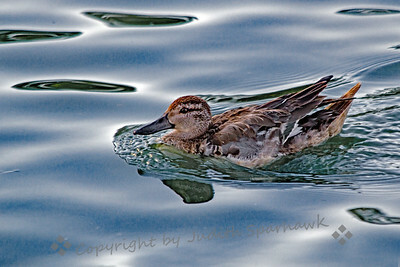 This photo of the Garganey shows the beginning of the gray plumage on his side that will be distinctive of his species. His facial markings will change to a white crescent on his brown face. He was photographed at Waller Park in Orcutt, near Santa Maria, CA. He is very rare to see on the west coast. This photo will show how small the Garganey is, compared to normal-sized Mallards. 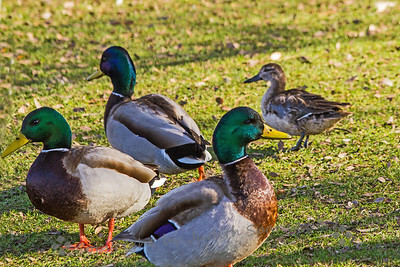 These male Mallards were ignoring him, but he seemed to keep up with the best of them. Waller Park, Orcutt, CA. 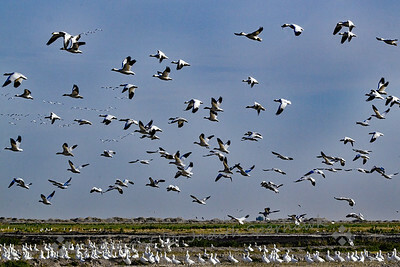 This flock of Snow Geese at Salton Sea was flushed from the ground, making a terrific racket, before settling back into the field. 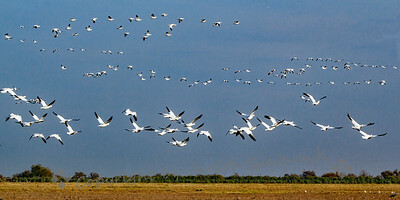 This view of flying Snow Geese shows many lines of flying birds, as varying distances, above the open fields at Salton Sea, CA. 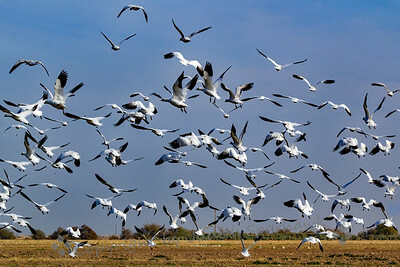 This image shows many Snow Geese on the ground, as well as many in flight. Salton Sea, CA. 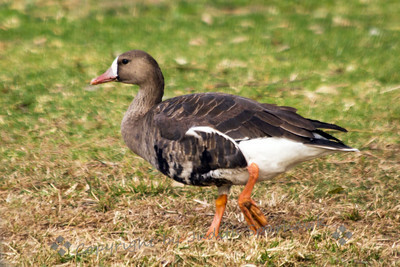 This small goose was photographed at Fairmount Park in Riverside, CA. 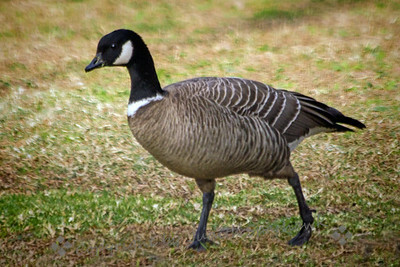 Once considered a subspecies of the Canada Goose, it is now classified as a separate species. The white "necklace" indicates that this is the Aleutian subspecies. Although this bird does not fit into the usual water birds category, it does hang out around water, and doesn't fit in as a perching bird. It walks on the ground, pecking at insects in or near water, and wags its tail up and down. 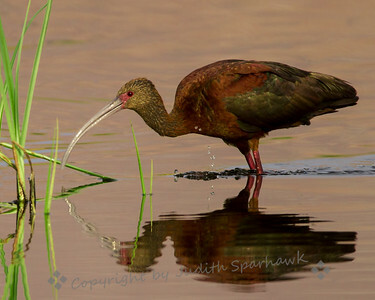 This is a very rare bird in this area--it normally migrates and breeds in Asia and Alaska. Based on its markings, it is likely an immature bird whose internal GPS malfunctioned by a long ways. He was photographed at Prado Regional Park in Chino Hills, CA. 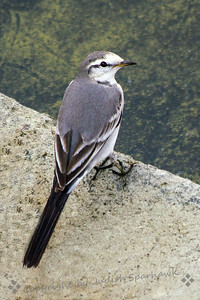 This is another view of the White Wagtail found in Prado Regional Park in Chino Hills, CA. This view shows the black markings on its breast. The breast markings and the brownish color on its flight feathers indicate an immature bird. It is a rarity in the US, other than Alaska. This goose was photographed in Fairmount Park in Riverside, CA. 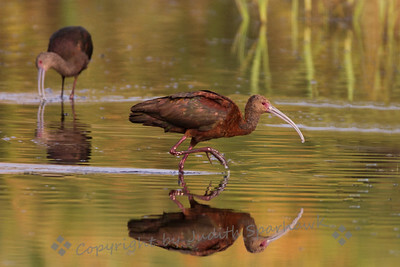 I was birding at San Jacinto Wildlife Area the other day and saw a group of White-faced Ibises. It was late afternoon and they were casting great shadows. I liked the way this one seemed to be looking over its shoulder at his shadow. 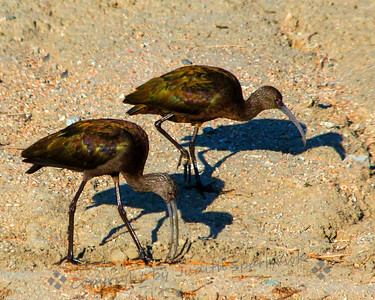 After viewing all of Bruno's wonderful shadow images, I was especially observant of the shadows cast by these White-faced Ibises. These ibises were among many at San Jacinto Wildlife Area yesterday. Post-breeding, the white on their faces is gone, but they maintained some brighter breeding colors. 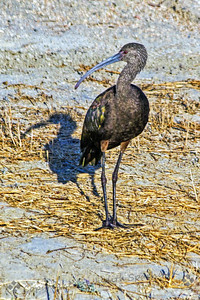 This WF Ibis was photographed at San Jacinto Wildlife Area yesterday. Sept 4, 2017. 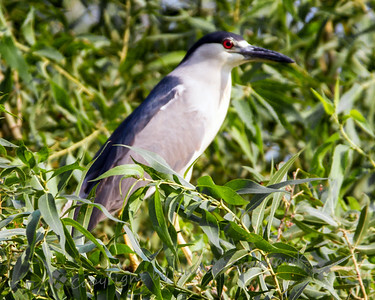 The heron was photographed at San Jacinto Wildlife area yesterday, on Labor Day. There were several immature herons there, but this was the only adult that I saw.